Linden Homes came about some time after I’d given up my original Premium account and when they first arrived, I wasn’t overly impressed. I found some of the regions unimaginative, and most of them rather crowded. However, as I’m back on Premium, I thought I might as well exercise my option of having one, if only to see what the process is like. Finally, you can view the Linden Home covenant on-line. Once you are suitably informed and have an idea of the theme you’d like, hop over to the Registration Page to select your preferred home theme / style. The main registration page is in two parts: on the left is a drop-down list for the various themes, with previews of the available styles shown below it. Click on a given preview image, and it is displayed in a larger size on the right of the page, together with further images you can flick through. If the style you want still doesn’t appear, leave the page a while and come back to it. Once you have selected your preferred style, enter a name for it and click NEXT. A confirmatory page is displayed, outlining your choice, with the nine covenant rules relating to the use of a Linden Home. You need to tick the check box relating to these rules and click the ACCEPT button in order for your order to be processed, or if you have a change of heart, you can go back and changed things before accepting. 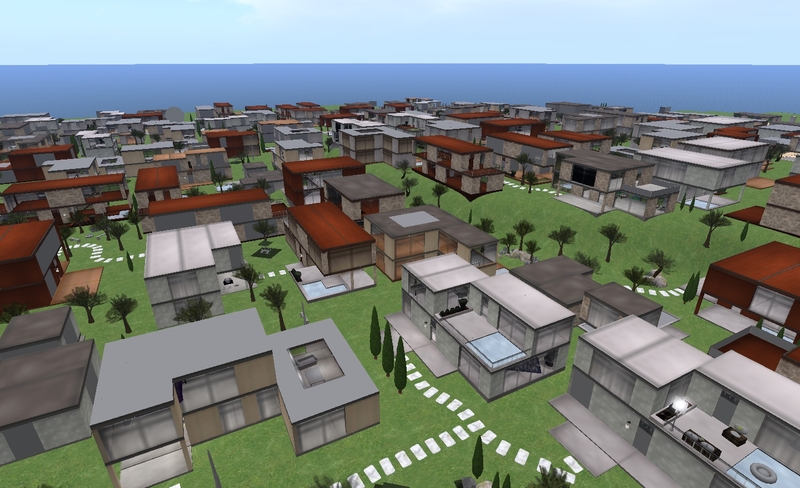 The order processing takes a couple of minutes to complete, after which a final page is displayed, listing the region in which your house is located, together with a SLurl, together with assorted additional links intended to help you get started with your new home. An e-mail containing this information is also sent to you as additional confirmation. And that’s it! 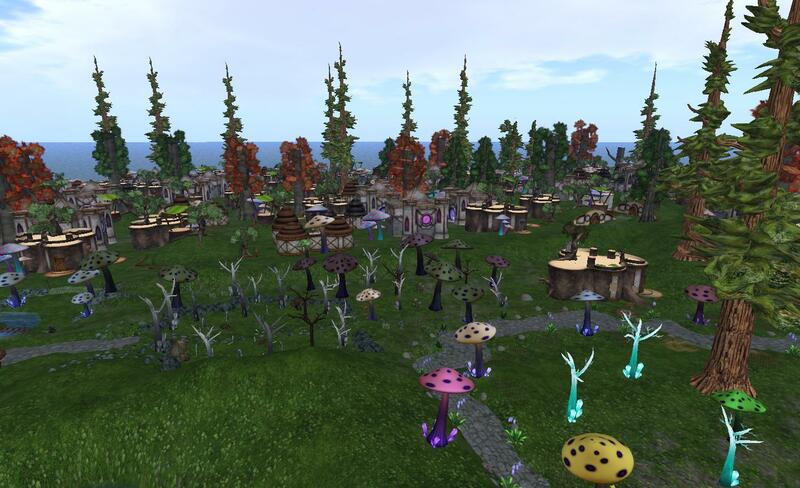 All that remains is to log-in to SL (if you’re not already) and go see your house! In the end and after careful explorations, I opted for the Tahoe theme purely on the basis of performance; I found this theme to be the least laggy for my PC. Firestorm also handled it somewhat better than the other theme regions, where I’d invariably crash after about 15 minutes of moving around – a novel experience for me when using Firestorm. Viewer 3 did tend to manage things better – but with appallingly low frame rates. 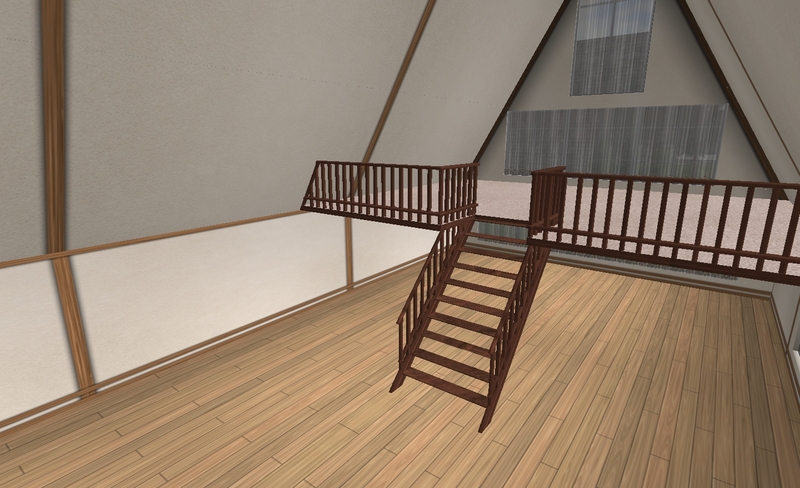 My specific choice of Tahoe house was the Aspen (my thanks to @SecondLife on Twitter for getting Aspen actually back onto the registration page options!). This, to me, offers the greatest flexibility for customisation. 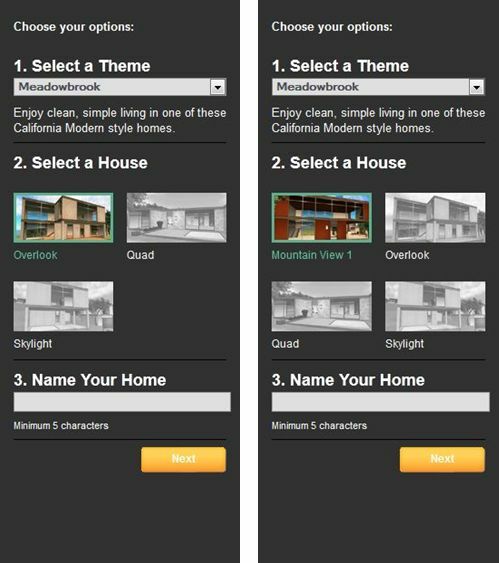 Linden Homes can be customised in terms of textures and appearance via the web-based house control / configuration options. These present the textures specific to your house style and make applying them very easy. If you want, you can also load the texture sets for other house styles in the theme and try those out. For the intrepid of mind, there are also texture packs available from the local info hubs that allow you to use the textures common to your house theme to make any additions of your own more readily match your chosen decor. 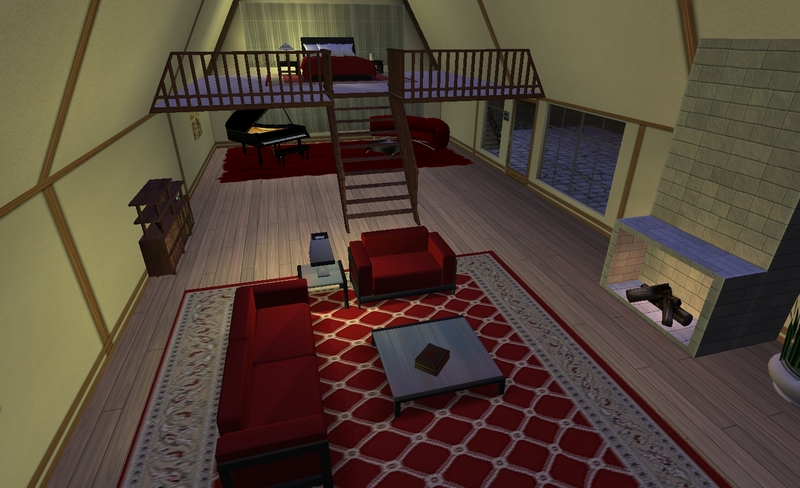 For my Aspen, I opted to understake a minor make-over, adding an additional vertical interior wall, net curtains on the end windows for add privacy without having to shutter the windows entirely, and a galleried bedroom loft. This claimed a total of 16 prims from my allowance of 117. To get a feel for the place once furnished, I “borrowed” my PrimPossible furniture and added a few of my own. These gave me a comfortable home, complete with piano, pictures, some lighting of my own and a potted plant, all for a grand total of 23 prims. The process for obtaining a house is well-designed and easy to follow; the only potential issue being the fact that all the styles for a given theme may not always be available. Patience tends to win out when this does happen – most styles eventually turn up over the course of a day or two. There’s nothing particularly eye-catching in the Linden Homes; build quality is good, but not especially outstanding; texturing is kept to 512×512 for better loading, so can appear a little blurry and flat when seen up-close. Houses with upper floors tend to have ye olde ramp rather than stairs of any description, which gives them a very dated feel. As they are intended as a “first step” on the property ladder in SL, much of this is possibly deliberate to encourage people to move on to bigger and better. So the best way of describing the Linden Homes is “workman-like”. One point worthy of mention is that given the way houses are crammed together in some of the themes, it’s probably worthwhile invoking parcel privacy (if your Viewer supports it). This prevents your own chat being overheard from outside, and protects you from overhearing others. As for the house I now have – well, I’m not sure what I’ll do with it. 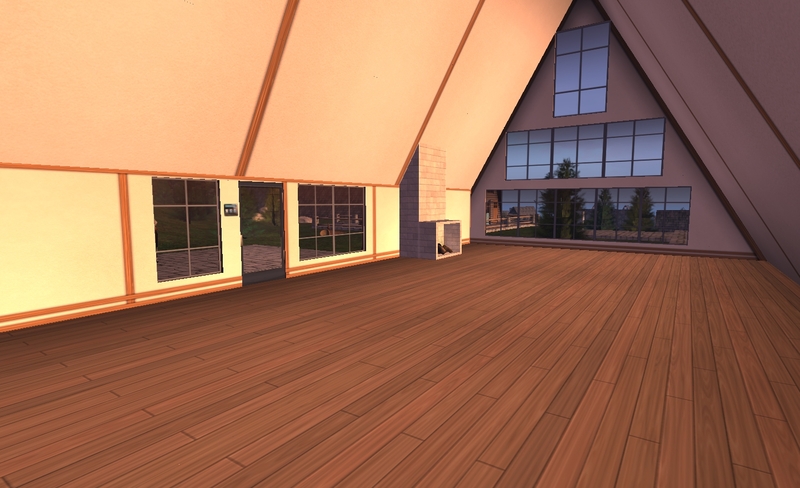 It’s no substitute for my “real” SL home, true enough. But on the other hand, now it’s sorted out, it’s not actually too bad. I also like the idea of having a little pied-à-terre I can use on occasion, so I might hang on to it for a little while! Nice write up on this process. I know for some it seems a little daunting, but they did an overall great job in making it as simple as possible. I think one has to look at how often they are in world, for what reasons and then make the determination as to what is sufficient. School in real life keeps me away, so the premium house is good enough for popping in. The premium sandboxes are great for building, further taking away a need for owning land for someone in my position. I do miss the landscaping, but I am not in world long enough these days. The sign-up process is very well done, and LL deserve a tick for that; the fact that the only issue I had was waiting for the very specific style of house I wanted to show up speaks volumes – had it not been for that (and what comes up is liable to be down to an automated process), then I’d probably have been registered and standing in ymLinden Home within 5 minutes of settling on my preference. I’ve yet to actually come across neighbours – the houses around mine are all clearly occupied, but whether people are out and about SL, or timezones don’t mesh when I’ve been over there, I’ve no idea. Time will tell, I suppose :). 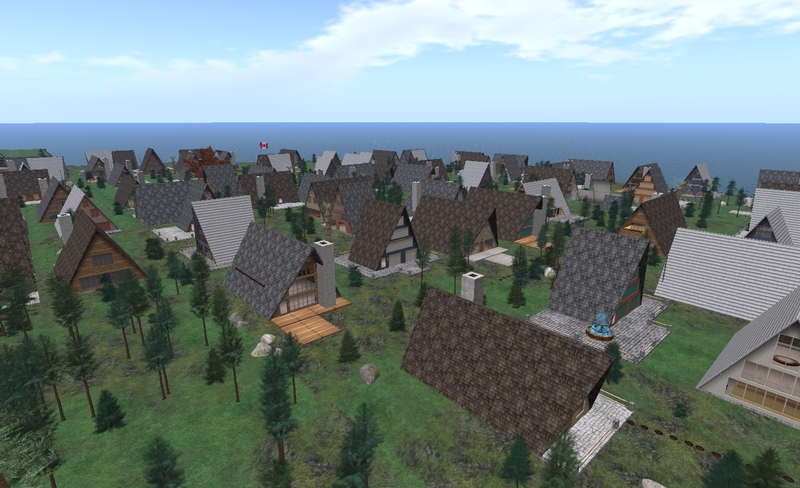 You’re right on how much time one has can determine what one does by way of property in-world (if anything), so for those with limited time and / or no land holdings, then the Linden Home can be a boon as a log-in point if they’re a Premium member. I’m still at a level of engagement that warrants a larger land holding (although admittedly nowhere near as large as once was the case), and this has biased me somewhat against Premium and the benefits, I freely admit. I have the luxury of a good hoome with lots of space, I have a my build platform, room for my in-world store (at least for now; I’m uncertain as to how much longer I’ll keep that going, frankly). Having a vuild platform means I’ve yet to visit the Premium sandboxes – but it is on my list! One side benefit to a Linden Home is being able to move on a dime. You can do it 4 times I think, every 24 hours. So if you’re even mildly bored of your lot, hit abandon and go get a new one. This is also handy for finding the ideal location – since you land in a place chosen by mysterious Lindenian-algorithms, you can end up with a choice view, or staring at something unsightly. Every now and then when bored and having a little extra tier, I grab up a linden spot for a few days and bounce around between them. But I do recommend people pick up and find a spot on mainland or an estate – where you can find community, traffic, the ability to set up shop, or whatever else it is you might desire. Yup; the lottery is there where location is concerned. I was lucky with my location, on a hillside, sloping away to a river on one side, while on the other, the slope steepens considerably, so the next housed over are considerably higher than mine. The Tahoe regions also *feel* as if the housing density is alower than Shareta Osumai or Meadowbrook – have not done a physical count to check, so this could be something of an illusion. Like you say, one can always hop house in the hope of finding an ideal location. As per the FAQ linked to above, you can have up to five homes in 24 hours – just so long as you don’t abandon all 5 one after the other within that time period (which will bar you from picking a further house for a period of 24 hours). You got the same house on same place i did, on February 2010! And so you found the same problems and indeed we have to welcome the Privacy settings that the lab give us finnaly, cause with no sky boxes, that was killing LL homes. I ended not using mine as soon as i found My love in world and we decide to go for a homestead (wish tiers where lower, cause our dream is still the 15000 prim limit, but some can do wonders with 3750 prims anyway! ), but i let my friends use it as their home when they need a place. We seem to be going in opposite directions :). You from a Linden Home to a Homestead and hoping for a full sim, I’ve come down from region via OpenSpace (as the Homesteads were before the name change / tier hike) to Linden Home (although I still have a 2105-prim private estate parcel I call home). 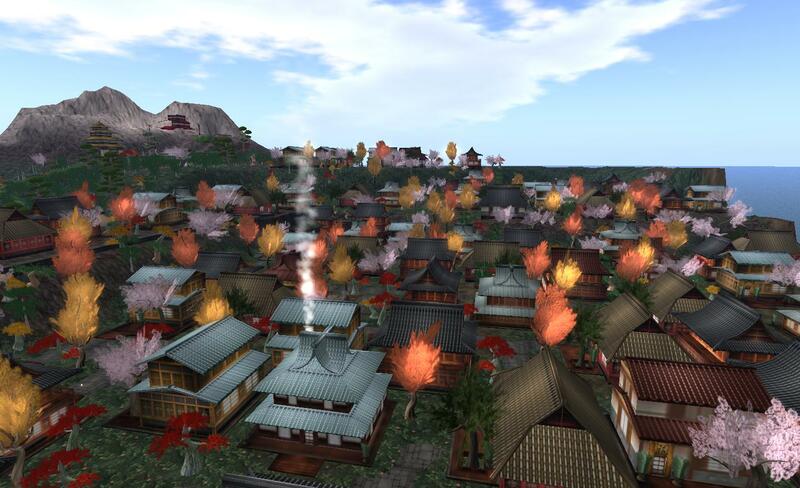 I’ve been in my Linden home for a while now. Though limited in size and prims, there are a lot of benefits. You have a place in world that does not cost an arm and a leg. Also, unlike what so often happens when renting, you don’t have to worry about getting a message that your SIM has been sold and you have to move. That got really old. I found ultimately I just needed a place to rezz in world, change, and once in a while use it to hang out with friends and listen to music. This place does all that. And I have yet to see a neighbor. I like the quiet.